For Britain’s growing band of model railway enthusiasts, a garden railway is the ultimate challenge. In this inspirational book Richard Blizzard guides you through 19 garden railway projects, from laying the track and making simple trackside accessories through to constructing a 16mm-gauge live steam engine from a kit, various rolling stock and a locomotive roundhouse and turntable. The projects are presented using hundreds of step-by-step colour photographs and accompanied by full cutting lists and assembly drawings. In addition, the author provides an overview of some tools that modellers new to garden railways may find helpful and a useful list of addresses for suppliers. 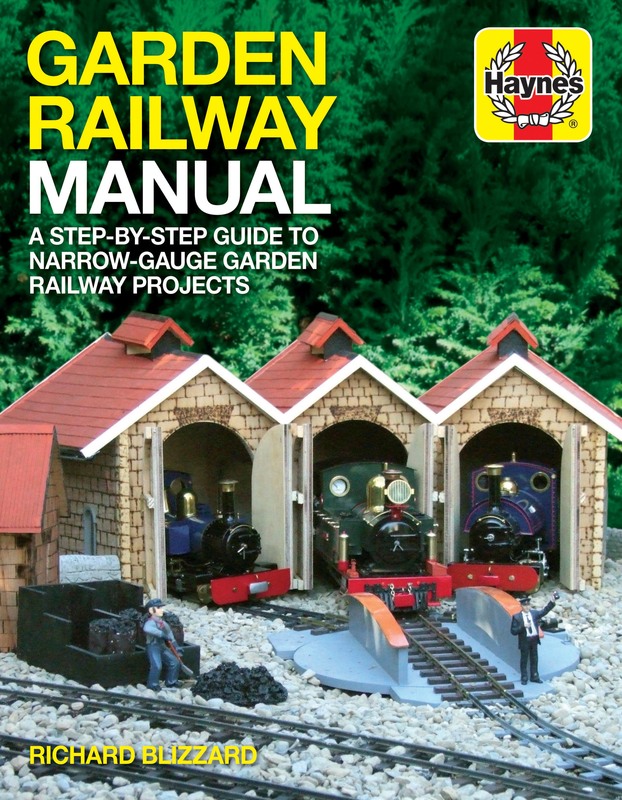 Whether new to the hobby or seasoned enthusiast, anyone interested in building a garden railway will find this book full of great ideas, useful tips and friendly encouragement. Author: Richard Blizzard is a writer and broadcaster who specialises in woodworking projects such as toys, furniture and garden schemes. Garden railways have always been a particular passion, and Richard has been enjoying his own for the past 25 years.